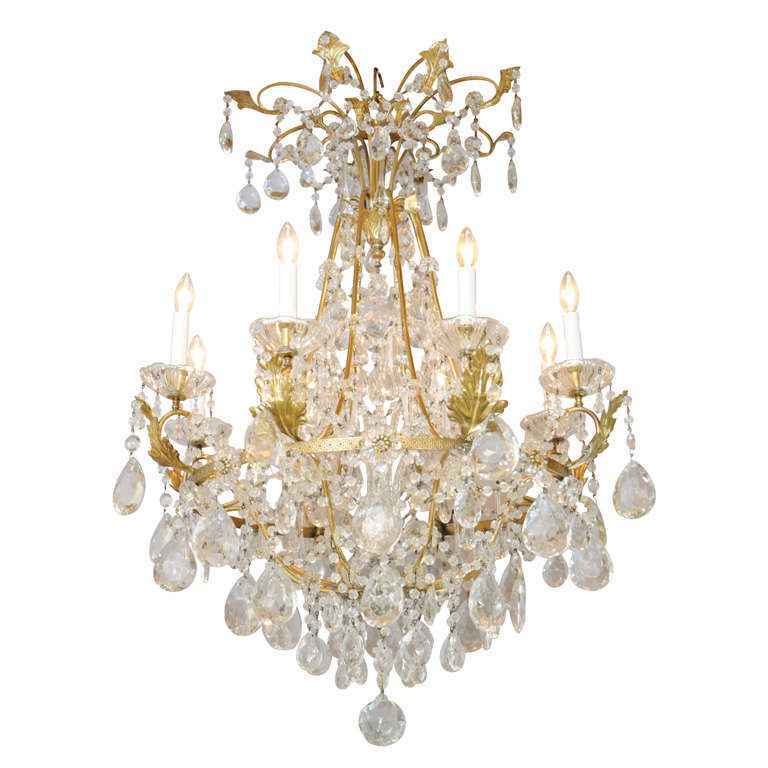 Chandelier, of gilt bronze, consisting of a finely chased ring suspended by shaped arms, finishing with leafy repousse cups holding eight lights in glass bobeches, the entire fixture draped in crystal strands, teardrops and prism drops. Chandelier, of gilt bronze, consisting of a finely chased ring suspended by shaped arms, finishing with leafy repousse cups holding eight lights in glass bobeches, the entire fixture draped in crystal strands, teardrops and prism drops. CONDITION: Excellent condition.